Severe droughts, floods, and storms are now a routine part of our nation’s weather forecast. Remarkably hot and dry weather in 2011 caused droughts in Texas, the Plains states and the West. The year also brought historic flooding along the Mississippi River. In the Northeast, an unusually warm winter meant little snowfall and bad news for the north country ski economy. What do these extreme weather events tell us about our changing climate? The Woods Hole Oceanographic Institution (WHOI) will host a public forum on the impacts of climate change on water availability worldwide. 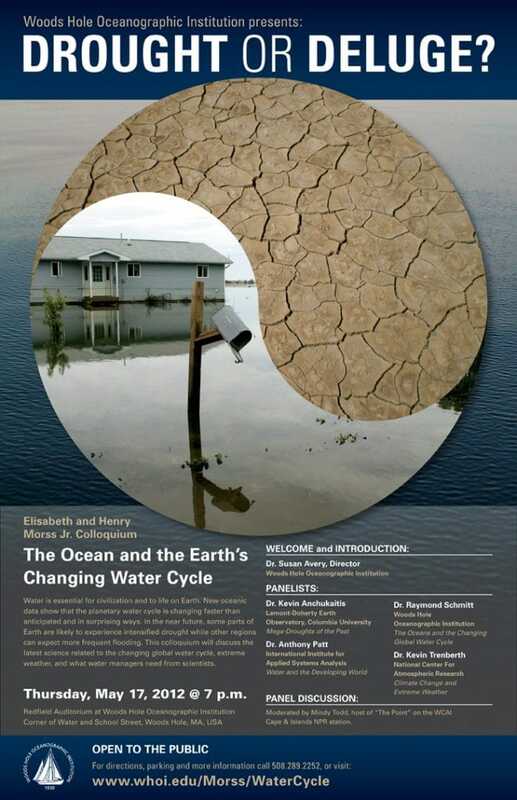 “Drought or Deluge: The Ocean and Earth’s Changing Water Cycle,” will be held on May 17 at 7 p.m. in Redfield Auditorium, featuring experts on extreme weather, changing rainfall patterns, and the impact of changing water supplies on the developing world. Water is essential for civilization and to life on Earth. New oceanic data show that the planetary water cycle is changing faster than anticipated and in surprising ways. In the near future, some parts of Earth are likely to experience intensified drought while other regions can expect more frequent flooding. “This forum will present the latest science related to the changing global water cycle and its link to extreme weather, and it will give the public a chance to ask experts what these changing patterns mean for them,” said Raymond Schmitt, a senior scientist in the WHOI Physical Oceanography department. Mindy Todd, host of “The Point,” a program on WCAI, the Cape and Islands NPR station, will moderate a panel discussion following the presentations. The program is part of the Morss Colloquia series at Woods Hole Oceanographic Institution. A generous gift by Elisabeth W. and Henry A. Morss, Jr. has allowed the Institution to establish a fund to support public colloquia on issues of global importance that confront the human race. Colloquia are intended to go beyond routine scientific meetings, to expose the Institution’s staff and public community to new issues and new perspectives that cross disciplinary boundaries between the sciences and social sciences. 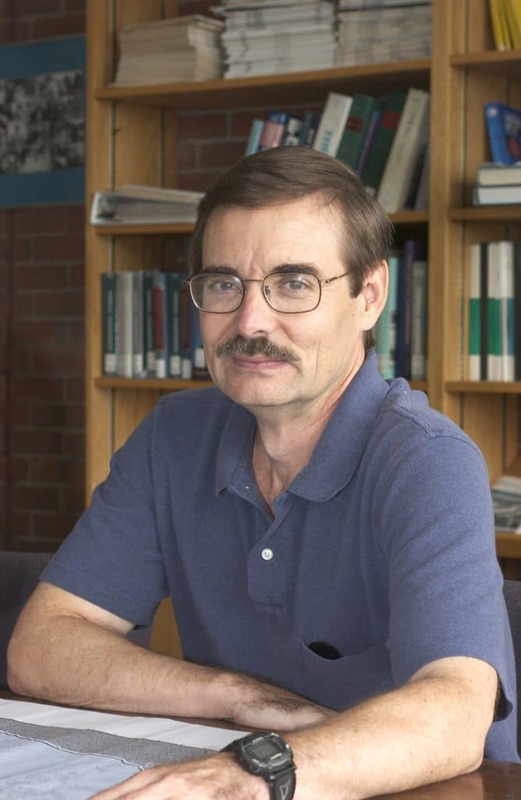 The panel discussion will begin with featured keynote talks, including “The Oceans and the Changing Global Water Cycle" by Raymond Schmitt, a senior scientist in the WHOI Physical Oceanography department. “The forum will give the public a chance to ask experts what these changing patterns mean for them,” Schmitt said. Thursday, May 17, 2012, 7 p.m.
A generous gift by Elisabeth W. and Henry A. Morss, Jr. has allowed the Institution to establish a fund to support public colloquia on issues of global importance that are connected to human society and involve some aspect of science.